Thought we'd re-open up the great debate...Cork or Screw? Call me a traditionalist, but it just seams wrong, even cheap/slutty to have a screw-top on fine wine. Oh, I can see the purpose or at least the ease of it. Screw tops are easy to open and close, with no additional equipment required. Admittedly, I have had some good wine from fine winemakers who have chosen screw top enclosures. This makes me wonder; Is my future is cork-free? After long deliberation, I can appreciate the screw top closure for certain occasions. Nowadays, one cannot carry a corkscrew just anywhere, so the use of a screw top could be necessary under certain circumstances. Maybe it's all in a the name; "Screw" top. That even sounds dirty and cheap (and not in a intriguing way). But am I just resisting inevitable change? Let's look into some alternative closures. 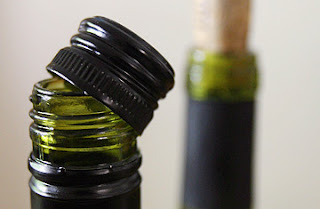 Wine consumers buy wine sealed with natural cork over any other closures. In the competitive wine industry that may be enough right there to stick with the norm. I see I'm not the only one trying to be true to cork. Screw caps are often seen as industrial, cheap and lacking the romance of the old "closure". But screw tops have been hailed as the future mostly because there is no danger they will spoil or "taint" the wine. This is a problem that is said to affect up to 1 in 10 corked bottles. Okay, very good point. I'm against tainted wine of any kind. This is the main reason why wineries choose to use other means of sealing their wine. Though I still find myself wanting natural cork, and really have issue with the synthetic cork environmentally, especially when made in an array of bright colors or tacky patterns. to me, it just seams...well, wrong. Interesting that in Spain, it is against the law to use anything but natural cork. The use of screw caps and synthetic closures is outlawed. We applaud them for being purists. But I'm still trying to be open minded here. Again, my primary concern is the wine. Cons: Wine Corks often go bad. Estimates vary depending on which figures you believe, as little as 1% or as much as 20% of all wine sold is “corked,” which is to say, damaged by a problematic cork. Wine corks can be difficult to remove, and sometimes break off into the bottle (hate that). That should be reason enough to have me consider other options, as again, I really do care passionately about the wine inside. Pros: Plastic is immune to cork taint, so wine is much less likely to spoil. Depending on the vintner’s tastes, they’re recyclable. And the same cork-removal equipment can be used. Cons: If not recycled, plastic corks also pose a more direct threat to the environment. The plastic may not retain its elasticity well over time, making it unsuitable for wines meant to age for decades, which is problematic. Again, bright neon or patterned synthetic corks really are just weird. Columbia Winery is an example of a Washington winery that uses some synthetic corks in some of their selected white wines. Pros: Screw caps, like plastic corks, avoid problems of cork taint. They are less expensive than natural or plastic corks. And they can be removed without any special equipment. Easy access is nice. Cons: As with plastic corks, screw caps imply environmental issues associated with the loss of cork farming and sorry, no romance. 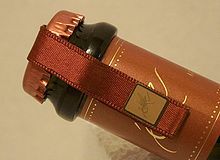 *Screw caps are used by such fine Washington winemakers such as, Airfield Estates, Balboa Winery, Dusted Valley Vintners. All produce fine wines with screw caps. What’s your opinion? Where do you stand on this great debate? Well, hold that thought, there's more. Now for something new and different: GLASS. I think there is class in glass. Local Spokane winery, Overbluff Cellars has chosen glass enclosures for their newly launched wines. Syncline Wine Cellars, located in the Columbia Gorge, uses both screw caps and glass stoppers, being cork-free for several years. Northwest Totem Cellars uses glass as well, sterilizing those returned and reusing them which answers my initial environmental concern. 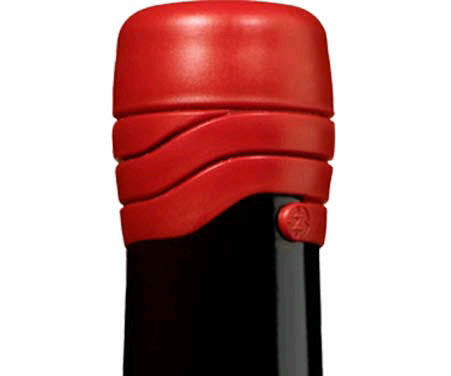 Then there's Zork, an alternative wine closure that seals like a screw cap and pops like a cork. Interestingly, an inner metal foil which provides an oxygen barrier similar to a screw cap, and an inner plunger which creates the ‘pop’ on extraction and reseals after use. Boutique winery, Sapolil Cellars in Walla Walla exclusively uses Zork. Admittedly, it was fun to open. Crown cap closure are used on a sparkling wine. The traditional crowned bottle cap has been used in the sparkling wine industry as a closure during the bottle fermentation process (méthode traditionnelle). 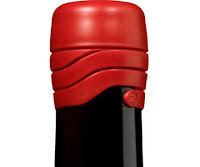 Normally, the cap is replaced with a cork before shipping, though recently some producers are releasing wines using the crown cap as their closure. The crown caps provide a tight seal without risking cork-taint. Although easier to open, crown caps eliminate part of the ceremony of opening a sparkling wine. No POP! So leave a comment, share your opinion on what you think about closure? Cork, Screw or other alternatives. The great debate continues. I guess I am a traditionalist at heart so naturally I am going to post that I prefer the cork option. I guess that my age is showing because whenever I open a wine with a screw top, I am reminded of my poor student days in college when all I could afford was Ripple and Annie Greensprings. I must confess that I really can't tell the difference in the actual nectar inside the bottle once I get past the act of pouring and I have enjoyed several really good wines that came in screw top bottles, but I just enjoy removing the cork before I pour. I think it depends on the wine and the imbiber. I personally can't get past the feeling of cheap wine, even if it is a top drawer offering; when your screwing of the cap, I always think camping wine, less to pack. I love the sound of the cork popping out of the bottle and the first scent of the wine that is pulled forth. As an artist, I prefer the idea of the idyllic. Real wine corks are just part of the romance of wine... ! I so agree with all three of these comments. I did like Overbluff Cellars glass corks. There was a slight pop and there seamed to be class in glass. The ZORK was fun to open as well and provided a pop sound. Call me old-fashioned, but I still like the ritual of using a cork screw and opening the wine. But really...who knows. Screwcaps haven't been around long enough to really judge how they will affect long term aging. This is the most important function of any enclosure method in my opinion. The rest is mere aesthetic or functional preference. Also, most producers who choose screwcaps to close their bottles also inject a shot of nitrogen right before the capsule goes on. Since screwcaps are essentially hermetical seals, the nitrogen stays in the bottle...and it is unknown how this will affect long term aging. You bring up some good points. But let's remember natural cork has issues as well. 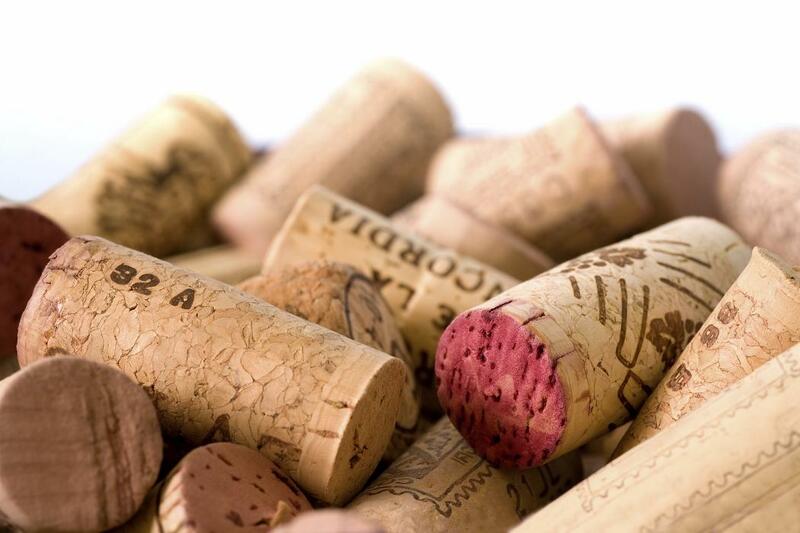 10-15% of corked wine is spoiled due to cork taint. But you are correct, time will tell. The great debate is not over. While I really appreciate the article, I have to say that the many spelling mistakes took away my enjoyment. Please spell check! WOW, you're right. I needed an editor or something. I think I was just moving too fast on this one. I'll try and slooooow down.